I think boredom is great for kids. It makes me happy that they are bored because boredom is the catalyst for creativity. 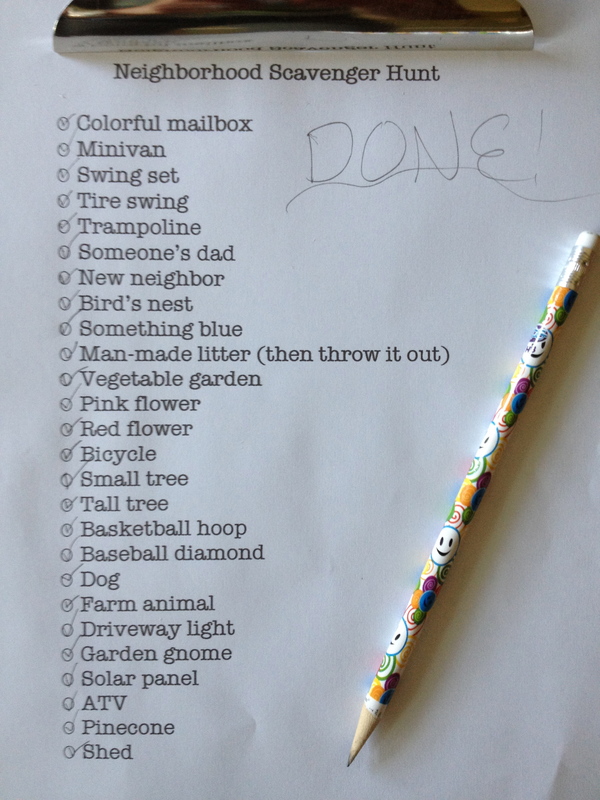 When my son or daughter come to me and proclaim boredom, I started a list for them. Since we have put a limit on screens in my house (television/computer/video games/iPod), I am hearing the common child call, "Mom, I'm bored!" more often than ever before. Because I am the one who set the screen limits, my children think it should be my job to help them fill the void. I think boredom is great for kids. It makes me happy that they are bored because boredom is the catalyst for creativity. And although I don't think it's my duty to find something for them to do with their free time, I am happy to help them with ideas as they transition into creative kids. I've started a list of things they could do that benefit me as well (if I have to help them, then they can help me). So when my son or daughter come to me and proclaim boredom, I started a list for them. Complete a household chore: Vacuum, empty the dishwasher, put their laundry to wash.
Organize their toys: Purge the basement toy closet and donate what they have outgrown to their younger cousins or children in need. Be Active: Kick the soccer ball around, shoot hockey pucks, or ride their bikes to the top of the street and back a few times. Make a meal: Look through the cookbooks in the house and plan a menu. Help with the food preparation and clean-up. Create something: I have a space in the house dedicated to crafting with all of the supplies needed to make an original piece of art. They could get a head start on Mother's Day! Play: Find the neighbors and play outside, or take out a board game. I had the second kid so that the first one would have a play mate. Play with her! This seems to be a solid list so far, but I was shocked when a neighborhood crew of girls came to me and told me they were bored. On a beautiful, sunny day, with four other playmates, these girls could not think of what to do. So I gave them something to do that would be both active and fun, while also allowing them to be creative. I quickly typed up a neighborhood scavenger hunt. I wanted to break them up into teams, but they wanted to hunt together and race the clock, rather than each other. The challenge was this: Take the list and find every item on it. Use your phone/digital camera and take a photo of the item with at least one member of the group in the photo. The list would have them walk to every house on the block. I included finding a new neighbor, since a new family had moved in next door last week, and a farm animal because a neighbor keeps chickens. The girls were so excited to go on the hunt! We counted down and I gave them one hour to complete the list. Within 25 minutes they were back. So much for an hour! But, they were out of breath and full of stories about each item they found. Although scavenger hunts have been around a long time, they are a versatile tool to engage children, whether it be one child with a list of items to find around the house, or a group of children with a list of activities to complete around a neighborhood. Another variation would be to give each child a bag to collect the items, rather than using a phone or a camera. On the other hand, you could have the children use a video camera and complete activities as part of the hunt; someone climbing a tree, someone jumping rope for one minute, someone straddle jumping on the trampoline. You could even use a scavenger hung to disguise cleaning up the playroom: Find all the lego pieces and put them in a bucket, find all of the princess wands and put them in a drawer, find all of the empty water bottles and put them in the recycling bin -- you get the picture. I would love to hear what kinds of scavenger hunts you have set up for your kids! Comment below and share with me.